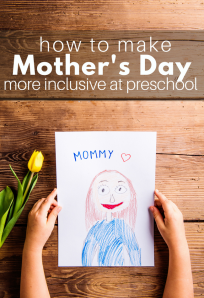 Mother’s Day is less than a month away and as preschool teachers everywhere start helping their students create something special for mom, I have gathered all the books I have reviewed in the past about moms. 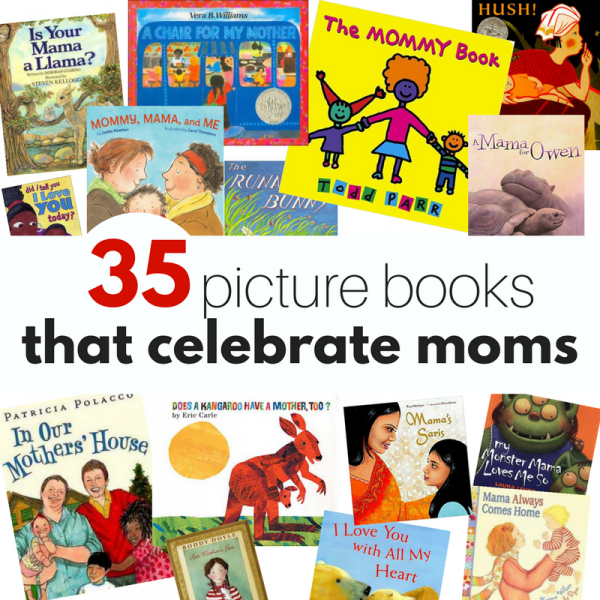 These Mother’s Day books celebrate moms of all different kinds. Moms who play sports and moms who snuggle. Moms who pray with us and moms who are no longer with us. 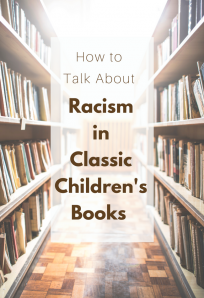 I hope you can find a new title or two to share with your preschool class or at home with your children. It is worthwhile to talk about the special relationship and the special role moms play in children’s lives. 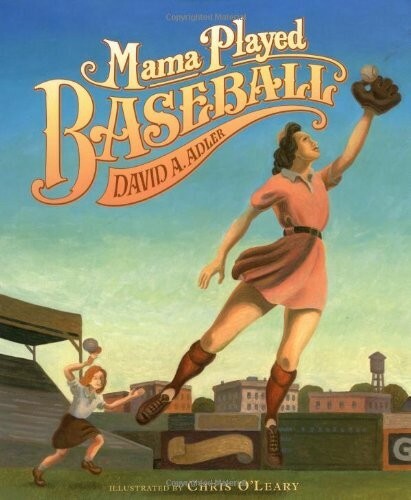 Mama Played Baseball by David A. Adler This baseball story is told through the eyes of a little girl who watches everything change during World War Two. Her dad goes off to war, and her mom tries out for the All-American Girls Professional Baseball League, and makes the cut! The story is simple, and I was left wanting more but understood why the author ended it when he did. It”™s a great book to explain the basics of what baseball was like on the home front during World War Two. 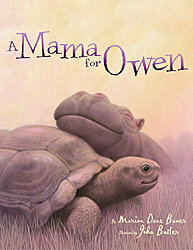 A Mama for Owen by Marion Dane Bauer makes me cry every time I read it. It”™s a true story about a baby hippo who lost his mama in the Tsunami that so many other babies both creature and human did. The story is one about friendship, about adoption and love. See Owen the little Hippo finds Mzee a big old giant tortoise. And even though they are different species, and Mzee is a boy, Owen treats him like his mama. 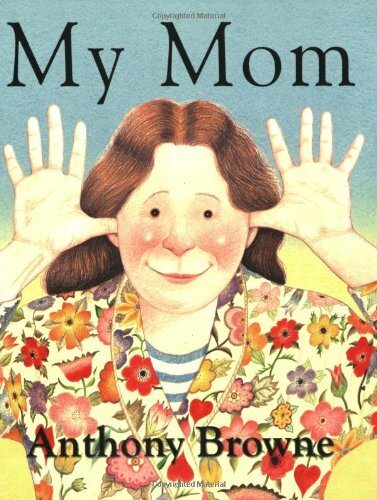 My Mom by Anthony Browne made me giggle. 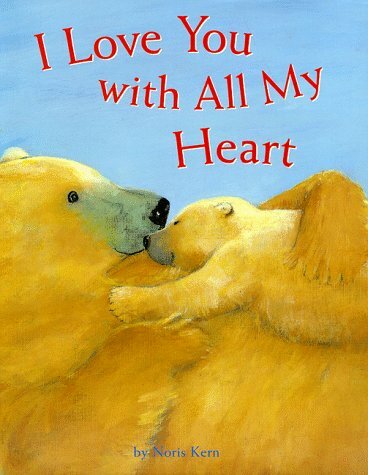 It”™s a cute book narrated by a child who is listing off all the wonderful things about his or her mom. A new fantastic skill or talent is revealed with ever turn of the page. Of all the revelations my favorite was that she is “The strongest woman in the world” which was paired with a great illustration of her carrying bags and bags of groceries. The narrator tells us that his/her mom could do anything, but instead, she is his mom. Which no matter what we moms do is exactly how our kid’s will and should see us. 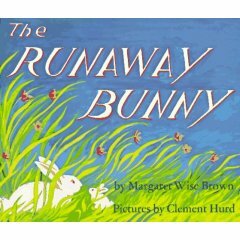 The Runaway Bunny by Margaret Wise Brown. I had never liked this book, in my younger years as a teacher before I was a mother I referred to the books as “Run, Bunny! Run!” as his over bearing mama bunny was always stalking him. I still don’t love this book, and I have always understood the sentiment about security and unconditional love, I have entered into the age of nostalgia for my little bunny whose hands are now bigger than my own, so I get it. I still don’t think this is the author’s best work, but my stance may have softened a little on my dislike for this book. 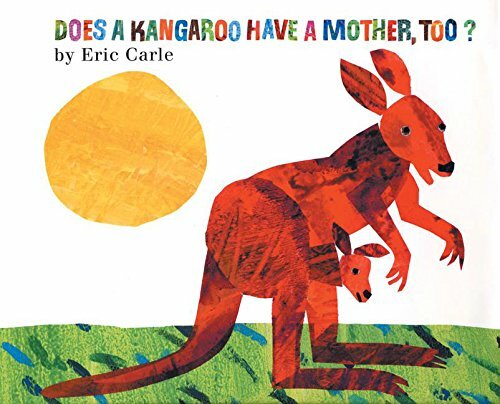 Does A Kangaroo Have A Mother Too? by Eric Carle is an educational and fun story for toddlers and preschoolers. Like many of his other books, the story is simple, the text is short, but the overall reading experience is great. 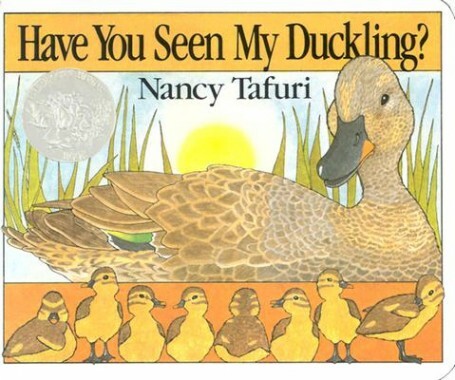 This was a favorite to read at circle time because the whole book is the same question over and over. 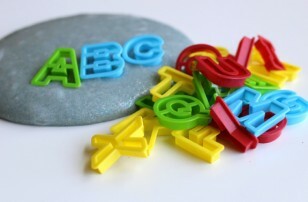 Which is the perfect foundation for gathering your student”™s or children”™s input. 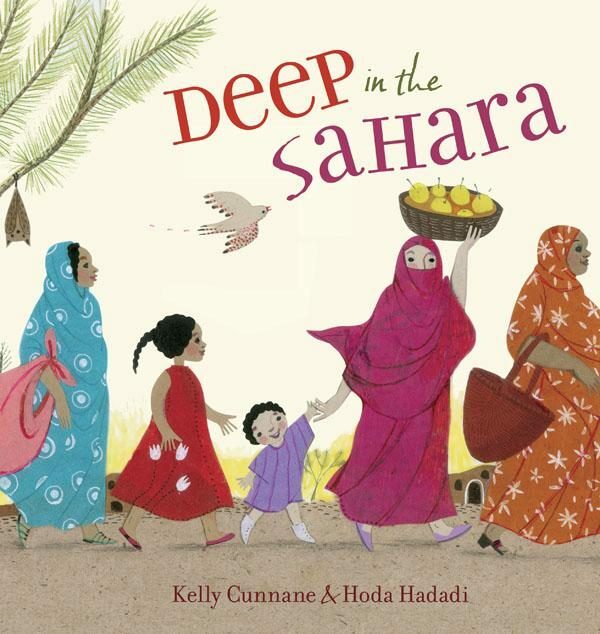 Deep in The Sahara by Kelly Cunnane is a beautiful story of a little girl who so wants to wear a malafa, the colorful cloth that her aunt, cousin, grandmother, and mother wear in public. She notes its beauty, how it moves in the wind, how she wishes to be a lady in one soon, but in the end, it is when she tells her mother that she wishes to wear it to pray like her mother that her mother wraps her in one and they pray together. This is a beautiful book. The illustrations by Hoda Hadadi are stunning. And the intergenerational story of a loving family in West Africa will resonate with you no matter what faith you may or may not practice. 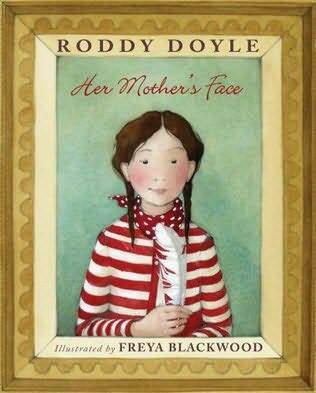 Her Mother”™s Face by Roddy Doyle is not really a book for very young children, but I loved it. I would read it with a child who is 6 or older, the text is long, the humor is subtle, but the message is fantastic. Set in Ireland, a little girl is silently suffering from her mom”™s passing. She doesn”™t tell anyone she is sad, she doesn”™t tell anyone she can”™t remember her mother”™s face or that she can”™t talk to her dad about her loss. A chance meeting with a young woman in a park changes things for her in the simplest of ways. As the years pass her pain lessens and eventually, she can talk to her dad who clearly misses her mother desperately too. I like that this book wasn”™t about the moment her mom passed away, but rather years later, about how she was trying to hold on to the memories and deal with her grief. 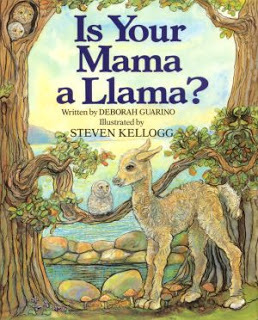 Is Your Mama a Llama? 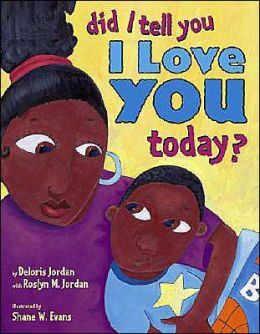 by Deborah Guarino is a classroom favorite, I don”™t know many preschool teachers who can”™t recite this book by heart. Readers follow Lloyd, the llama as he riddles his way through a bunch of animals. Eventually, he finds the one he calls mom. I like the mix of animals in this book, a little different than your average zoo or farm collection. Most Loved in All the World by Tonya Cherie Hegamin moved me so much when I read it that I am in tears just reviewing it. It”™s heartbreaking in it”™s bravery. 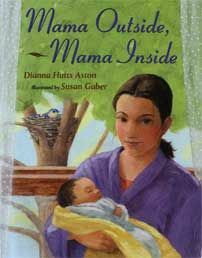 The story is about a mother who is part of the underground railroad and prepares her daughter for a journey to freedom, without her. When my son and I read this together after reading about the underground railroad he fully grasped the implications that the mother sacrificed her safety for her daughter”™s freedom. There weren”™t too many dry eyes that bedtime. Even though this is a picture book, I think it”™s really for the 5-8-year-old crowd who can get the deeper meanings and historical significance. 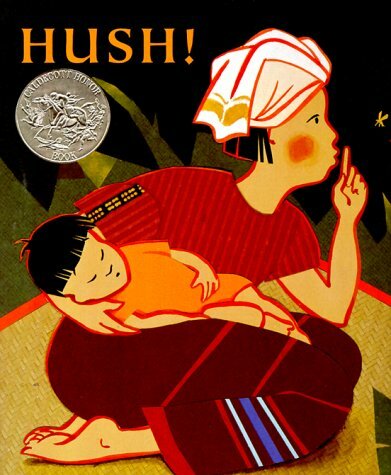 Hush by Mingfrong Ho Described as “a Thai lullaby” this is a simple and melodic story about a mother trying to make it quiet enough for her baby to sleep. Simple enough for younger children, older children will enjoy checking out baby”™s shenanigans, and mother tries to quiet her farm. Mama, Do You Love Me? by Barbara M. Joosse is a well-loved book. I have read it many times but never reviewed it. 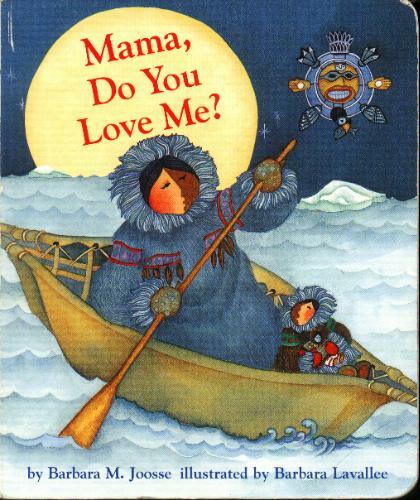 There are a lot of books about children testing their mom”™s unconditional love, but this one stands out for me. In it, the little girl seems to go out of her way to aggravate her mom and test her love. The mother is fantastic because she isn”™t gushy or sickeningly sweet. She says she would get angry, worried, or sad depending on what her daughter tests her with. However, after each honest answer, she follows it up with how she will always love her. Kids need to know even if they make us sad or angry it doesn”™t change the depth of our love for them. Did I Tell You I Love You Today? by Deloris Jordan is a very practical yet heartwarming look at all the ways parents show love to their children every day, from feeding them healthy food to praying after they go to bed. My son loved all the big boy things in the book like, the school bus, basketball, and the playground. I teared up reading the book, but I cry at American Idol so that may not be indicative of anything! 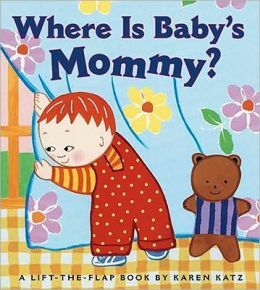 Where is Baby’s Mommy? by Karen Katz is the perfect book for your tiniest book lover. 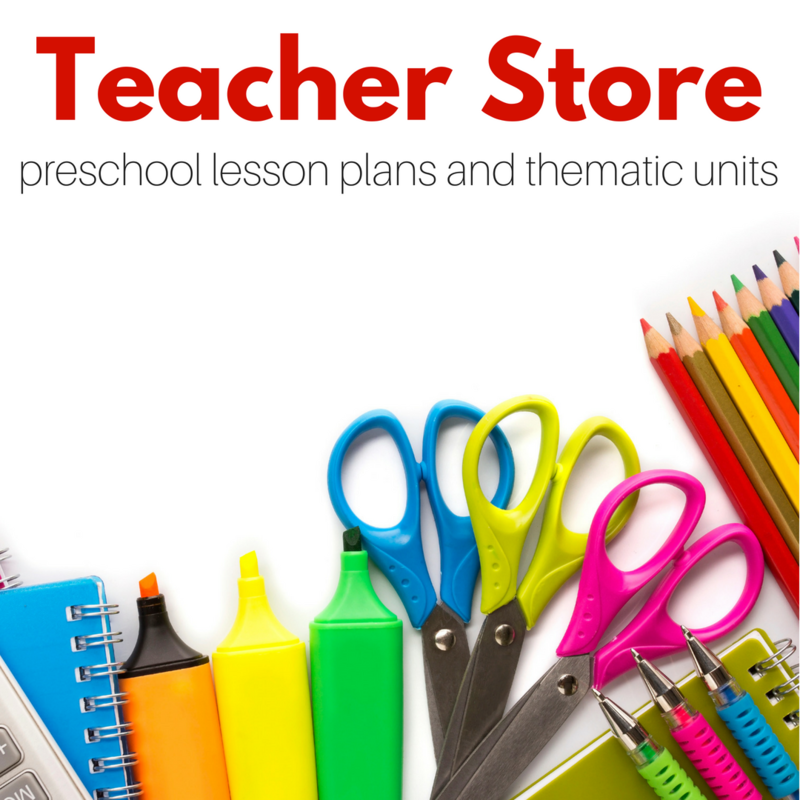 It is bright, cheery and will grow with your child from the first few months through their toddler years. The story is simple. A baby and mom are playing hide and seek. You play along with them by lifting the flaps to reveal where mommy is. My daughter has loved these books for years. And even though we read much more complicated books now that she is almost four, we go back to these old favorites a lot. I Love You With All My Heart by Noris Kern is the precursor to “Will you Still Love Me.” The author is the illustrator of the other book. The characters are the same, and the story is equally as sweet. It”™s a slow but calming story about Polo”™s quest to understand what mama bear means when she says she loves him with all her heart! 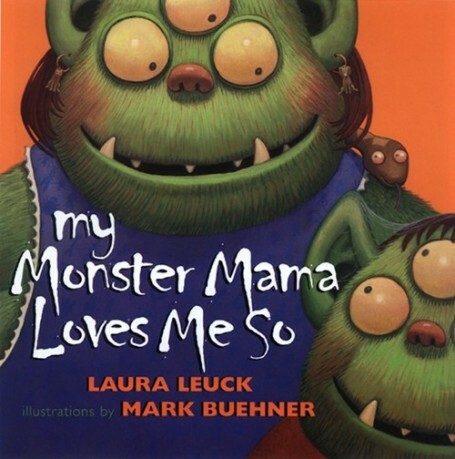 My Monster Mama Loves Me So by Laura Leuck is more my kind of monster book for kids. Imaginative illustrations by Mark Buehner kept my little man pointing out spiders, bats, and owls and he loved counting the extra eyes and arms on the monsters. The story is really sweet too. It”™s all the things a mama monster does throughout the day with her little monster. It”™s got a good message about how love can be an action as well as a feeling! What do You Love? 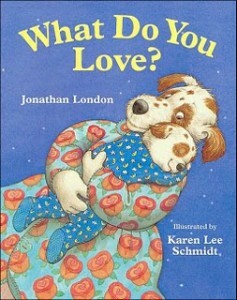 by Jonathan London, this fun read-aloud rhyming board book asks the simple question ”˜What do you love? A mamma and baby pup joyfully answer throughout the book. They spend from morning until night time doing the things they love together, including spending time with each other. The illustrates fun and colorful, taking-up the whole page. The copy is simple and large for easy reading. Kids will enjoy reading this rhyme, and perhaps it will inspire you to spend an afternoon together doing what you love with your little one. Lala Salama: A Tanzanian Lullaby by Patricia MacLachlan is a calm, gentle story that follows a day in the life of a baby and his mama in Tanzania. The illustrations by Elizabeth Zunon are stunning, and I love that it takes readers through a typical day for this little family. My daughter loves babies, and this is a great book to talk about the little differences and big similarities between what she did as a baby and what this baby does. Mama”™s Saris by Pooja Makhijani is a simple yet rich story about a little girl and her desire to dress in her mama”™s clothes. I think I would be hard pressed to find a woman who doesn”™t remember watching in awe as her mom got dressed for a special event and wanting to dress just like mama. The narrator is Hindu and her mama wears a sari for special occasions. She is stubbornly trying to get her mom to let her wear one for her 7th birthday. The illustrations are beautiful, especially the jewel tones of the various saris. This book would be a great one to read before playing dress up or other pretend play. The story is touching and although it”™s too long for toddlers, it”™s a great book for preschoolers. Back to this book and why I like it. I love that the little boy in the book keeps trying to find ways to make him unlovable. And the mom keeps finding ways to love unconditionally. There is a deeper meaning here, and moms will see past the fun illustrations to the real heart of this book, which is no matter what we love our children. When I found this in a thrift store and read it quickly, I couldn”™t look at my son in his stroller throwing puffs on the floor without tearing up. 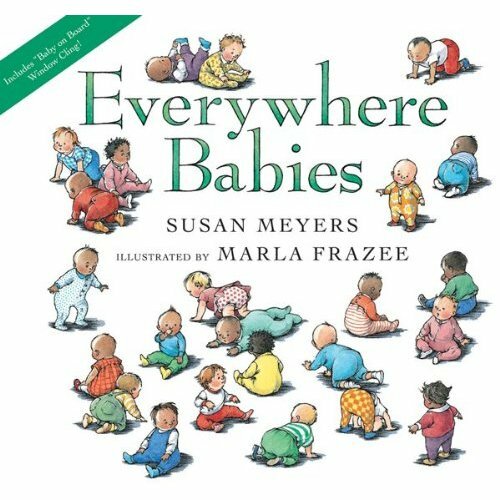 Everywhere Babies by Susan Meyers and Marla Frazee. This book celebrates all sorts of babies and all the every day things babies do. My daughter points out all the babies on each page as I read the rhyming text. So maybe you are thinking “What”™s so great about babies and text that rhymes?” nothing, that isn”™t what makes this book so awesome. 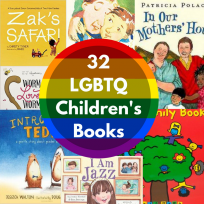 I love this book because of its diversity, inclusion, and acceptance of all babies and families. The illustrations are full of depictions of all sorts of families showering their smallest most precious member with love. What I adore about the diversity of the illustrations is that readers put whatever assumption we wish on the families in the book. What I assumed were two mommies my husband thought was a husband and wife. I thought a lady was a grandma and my son said it was just an older mom. This is why I love this book. My daughter doesn”™t see why this message is outstanding. What she does see is all sorts of happy babies in all sorts of families being the norm. This is the world we want her to know. 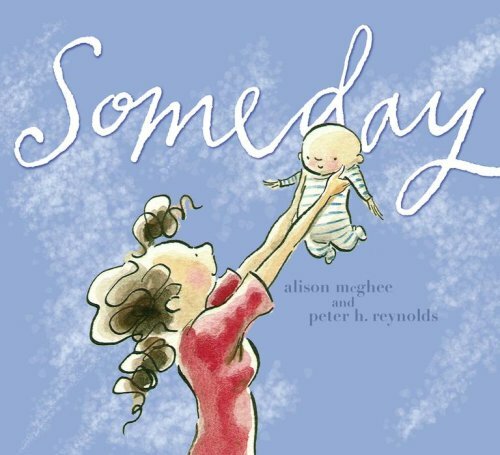 Someday by Alison McGhee was suggested by a reader and I can see why. It”™s a sweet story. Probably a little more for grown daughters and mother”™s than children but they will like it too. The book opens with a mom and a baby. The baby grows into a child and then continues with the mother”™s hopes for what her daughter will experience someday. Some are good, some are sad. But all are things that we all must face as we grow older. This would be a great gift for your mom. 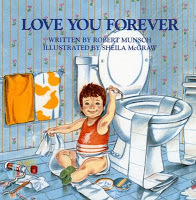 Love You Forever by Robert Munsch is perhaps the classic tear-jerking picture book. I read this for years and years to children and had no problem getting choked up. It never bothered me, then I gave birth, and I can”™t read it without sobbing. The premise is simple. A mom sings this simple song to her son as he grows. “I”™ll love you forever; I”™ll like you for always, as long as you”™reliving, my baby you”™ll be.” Until she can”™t sing it anymore and it”™s his turn. For days after I read this, I tear up as I lay my son in bed. *Edited to add that many readers have commented that they do not like this book at all! What do you think? Leave a comment and tell us! 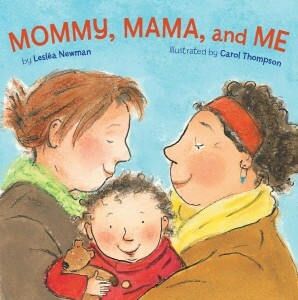 Mommy, Mama, and Me by LeslÃ©a Newman is a book about the everyday life of a family with two moms. What I love about this book is that it showcases parts of the day that young toddlers through preschoolers can relate to easily. They have bath time. They go to the park, and they cook dinner. In other words, they are a family like any with a small child. My son loved this book and related easily to the baby in the book and to the experiences that they share. The book makes no political statement. It makes no explanation of two mommies and it shouldn”™t. 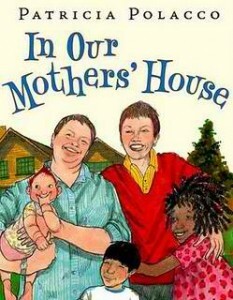 It”™s a book targeted to toddlers about one loving family and nothing more. There is also a version with two dads called Daddy, Papa, and Me . A Tale of Two Mommies by Vanita Oelschlager got my kids out of their seats at the table and glued next to me because they wanted to be that close to the illustrations by Mike Blanc. They were so vibrant, and the perspective was so great that both my kids (6 and 3) were immediately smitten. The story is great too. It”™s really a collection of questions from two friends asking a third about how his family with two mommies work. Sometimes adults go straight for the big deep issues when really kids just want to know which mom is the one to coach little league and which one bakes cakes. Readers leave with the overall feeling that this little boy”™s life isn”™t all that different at all. There is also A Tale of Two Daddies which is very similar with dads and a daughter. 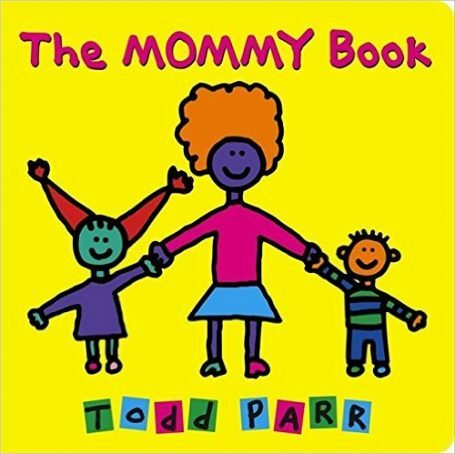 The Mommy Book by Todd Parr is a bright, funny and wonderfully random book. I love Todd Parr and his blunt and diverse books. 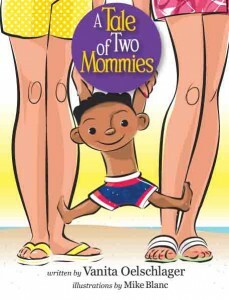 In this one, he once again reassures kids that mommies come in all different forms. But all mommies want you to be who you are! Your kids will love the simple and vibrant pictures that are Todd Parr”™s signature. The Kissing Hand by Audry Penn is an absolute favorite. Chester is a raccoon who like most of us doesn”™t like change. In his case, it”™s starting school. He wants to stay home with his mama and play with the friends he already has instead of going to school away from her and his friends. So his mama explains to him the magic of the kissing hand. The real magic is the message that we have to do things that scare us sometimes. But the love of our family is always with us to help us through. Go get this book. See how perfect this is, mostly for me this week, I hate leaving my son. In Our Mothers”™ House by Patricia Polacco is a lovely story of a family of two moms, three kids, and a big house in Berkley California that was witness to their years and years of love. Like many families that don”™t fit the “normal” stereotype, these two moms and their kids faced opposition. 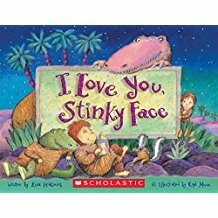 The illustrations in this book show so well the emotions any parent would experience when an angry adult was threatening their family with children present. This book is about love. It is a window into a family that might be similar to yours or very different. But one thing this family has in common with every family is the love that holds it together. 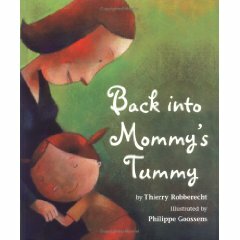 Back into Mommy”™s Tummy by Thierry Robberecht made both my son and I laugh hysterically, mostly because it was incredibly relevant to us. When we first read this book, I was very pregnant with my now 3-year-old daughter. In the book, a little girl asks to go back into her mommy”™s belly for her 5th birthday. She wants to stay close to her mom. Never have to go to school. Stay up as late as mom does and even tells her mom if she wants to see her she can go get an ultrasound and she”™ll wave hello. The absurdity is awesome, and the sentiment is bang on. Later in the book, we discover that mom is expecting. She asks if her daughter is worried about her loving the new baby more. I love how the author and illustrator Phillippe Goossens use humor to get to the heart of it all. My son was incredibly attached to me at the time of reviewing this book. It really opened up a great dialogue about having to share my snuggles and love. 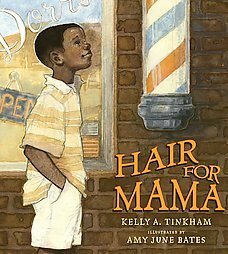 Hair for Mama by Kelly A. Tinkham is beautiful. The story is about a little boy who is desperate to find some hair for his mama who has lost hers to chemotherapy. Marcus wants mama to be in the family photo, but she doesn”™t want to be the way she looks. His mission comes to a climax when he shaves off all his own hair hoping to give it to his mama. Instead, the barber sweeps it up with the other hair on the floor. Heartbroken Marcus goes home in tears. I was sobbing reading this. I knew it was a story about a mom having cancer. But the way the author wrote it, it was magical. The complex emotions this little boy felt for his mom and she for him, jumped off the page. You can”™t help but cry. I wasn”™t sad. The love and desire to fix his mom and make everything better touched me. And his parent’s tenderness to his feelings. This book I highly recommend. I should note that this is not a book for toddlers. 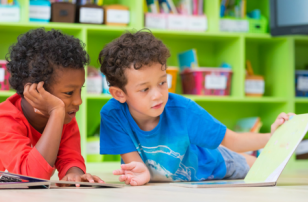 You probably will want to wait until a child is 4-5 before reading them this gem. 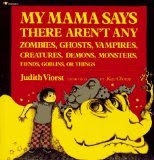 My Mama Says There Aren”™t Any Zombies, Ghosts, Vampires, Creatures, Demons, Monsters, Fiends, Goblins or Things by Judith Viorst is a lovely, touching but not a saccharine book about how moms make mistakes too. The little boy narrating the book continues to insist that there are monsters and such despite his mom saying there isn”™t. He used the fact that he often catches his mom making little mistakes to prove that she must be wrong when she says those horrible creatures don”™t exist. In the end, though mama keeps him safe and is right after all. Piglet and Mama by Margaret Wild is a mother”™s day book I would suggest for the under three crowd. My son loved it.When he was 2. Piglet is searching for his mom. And even though all the other animal mommies offer for him to stay with them and their babies he wants his mom! The illustrations by Stephen Michael King capture the warmth between a mama and her baby beautifully. 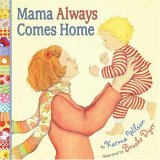 My son had the “Mama” scream perfected and quite enjoyed seeing the little piglet do the same thing for her mama when we read this book. Even if separation anxiety isn”™t something you are dealing with at your house, this is a sweet book. 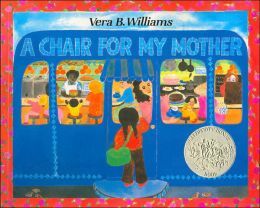 A Chair for My Mother 25th Anniversary Edition (Reading Rainbow Books) by Vera B. Williams is another classic mom book, and it deserves to be called that. A sweet story that includes three generations of women who are all working hard to save money to replace furniture lost in a fire. The comfy chair they are planning to buy really represents the comfort and safety they are trying to rebuild in their new home after such tragedy. I love the sense of collective good in this family, in our “Me me me!” world I like seeing books like this. For more great book selections, make sure to follow me on Facebook! For more quick tips on helping your child learn to read check out my book; Raising A Rock-Star Reader. 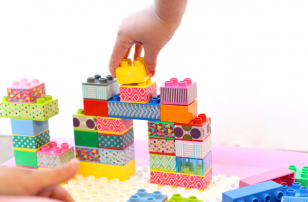 The book is packed with fun ideas for families, book lists, and advice for parents. I love this list! So diverse with concise and useful information about each book! Thank you!